Be sure to review your in-class notes, homework, and the slide presentations shown in class. NOTE: -- There is NO Extended Response Prompt. I removed it from this exam. We will work up to it over the next few weeks. In its place I've added three more short answer questions. What was the goal of England as a Mercantilist nation? What role did the English colonies play in the Mercantilism system and in the Triangular Trade? What were the important exports of the Northern and Southern colonies. What were the Navigation Acts and why did England employ them against the colonies? 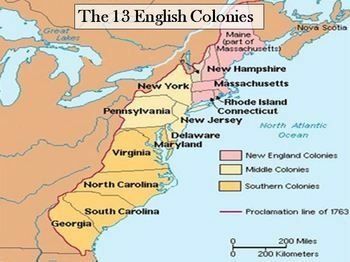 How did the Navigation Acts create tension between the colonies and England? What was the important effect (end result) of Salutary Neglect? Understand the Triangular Trade and be able to sketch out the routes and the important trade goods. (Three-Way Trading Process between Northern and Southern Colonies West Indies England, Europe Africa). Know the major economic and social difference between the Southern and Northern colonies.